In Supernatural Graham Hancock sets out to investigate this mysterious "beforeandafter moment" and to discover the truth about the influences that gave birth to the modern human mind. His quest takes him on a detective journey from the stunningly beautiful painted caves of prehistoric France, Spain, and Italy to rock shelters in the mountains of South Africa, where he finds extraordinary Stone Age art. He uncovers clues that lead him to the depths of the Amazon rainforest to drink the powerful hallucinogen Ayahuasca with shamans, whose paintings contain images of "supernatural beings" identical to the animalhuman hybrids depicted in prehistoric caves. Hallucinogens such as mescaline also produce visionary encounters with exactly the same beings. Scientists at the cutting edge of consciousness research have begun to consider the possibility that such hallucinations may be real perceptions of other "dimensions." Could the "supernaturals" first depicted in the painted caves be the ancient teachers of mankind? Could it be that human evolution is not just the "meaningless" process that Darwin identified, but something more purposive and intelligent that we have barely begun to understand? 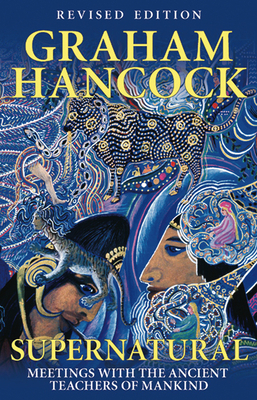 "Graham Hancock is no stranger to controversy. The former journalist, whose books have sold five million copies in the past 10 years, has repeatedly dared to challenge scientific shibboleths, taking a run at entrenched thinking in archaeology, geology and astronomy."